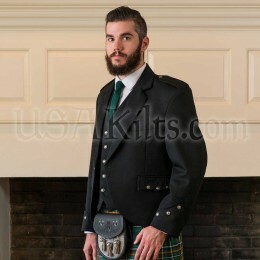 Are you looking for a slightly less formal way to dress up your kilt? 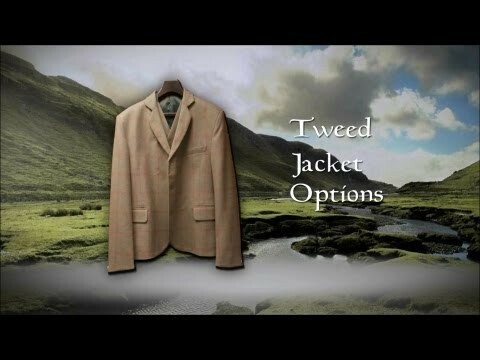 Take a look at our tweed jackets and vests! Any of the tweed swatches shown in the "Tweeds" gallery on the right side of this page can be made into a jacket & vest. 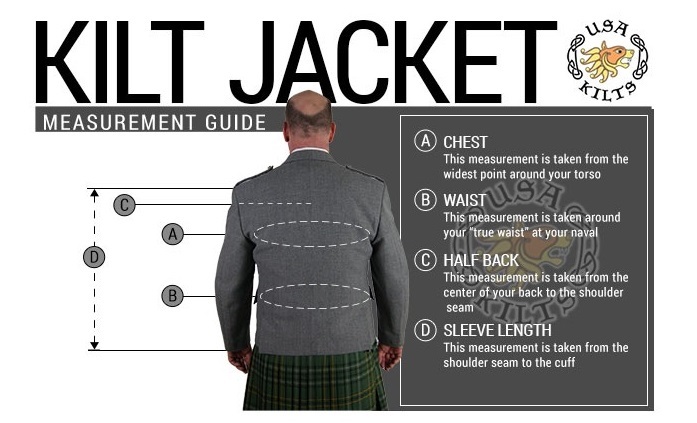 Also, please note that these jackets are all custom made in Scotland and will take 6 to 10 weeks to arrive. 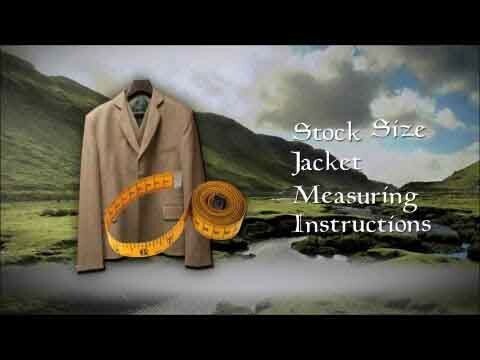 Sizing: these jackets are made in the UK and are slim fitting. 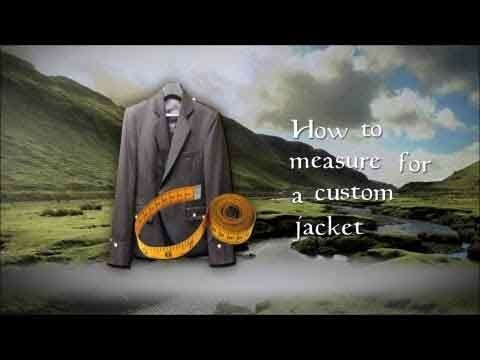 If you normally wear an American suit jacket size 44 Reg, please order a size 46 Reg. 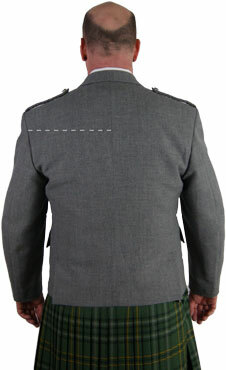 If you normally wear a 48 Long, order a 50 Long. I ordered this item a little over a year ago, and it has hung in the closet! 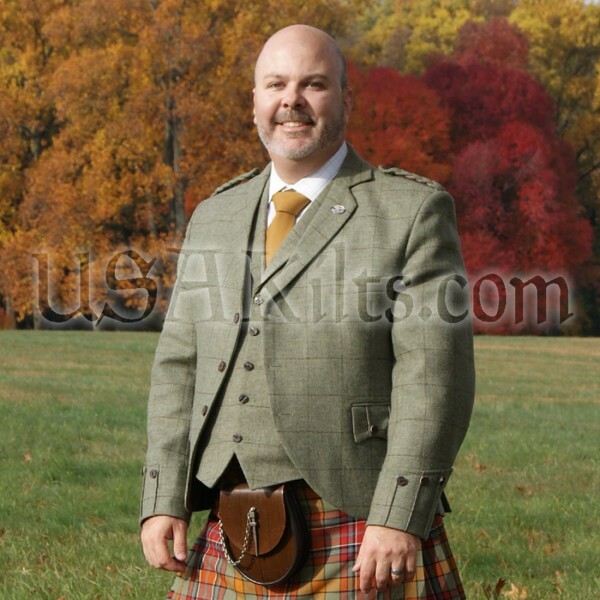 Just last week I pulled it out and wore several times over the Thanksgiving holiday! 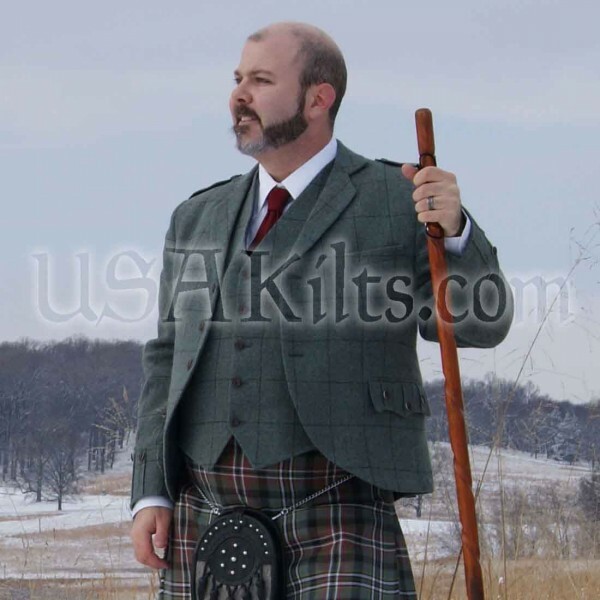 The fit and feel was the best I have ever worn, bar none! And SOOOO many incredible compliments! 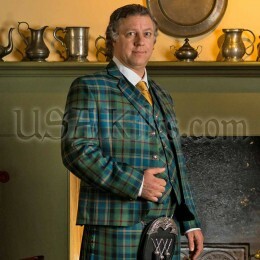 And I did not wear my kilt, just a nice pair of dress slacks! (I checked, it's perfectly acceptable!). I could not be happier with my Tweed jacket and vest. Fit is fantastic and quality is top rate. 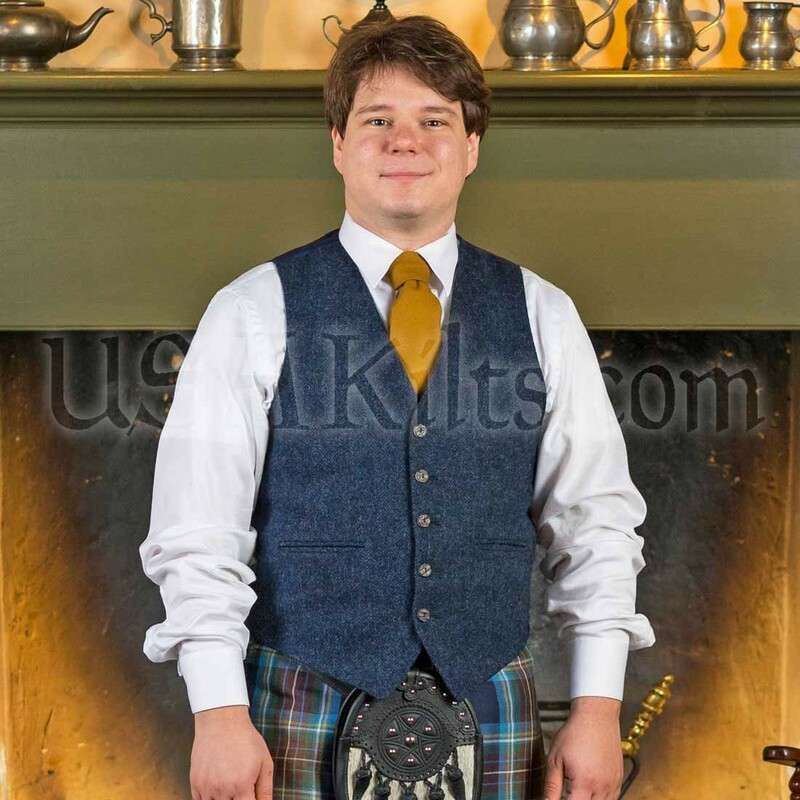 My 17 year old daughter (who has not seen me in a Kilt since she was 5) was beside herself at how beautiful the whole regalia is. 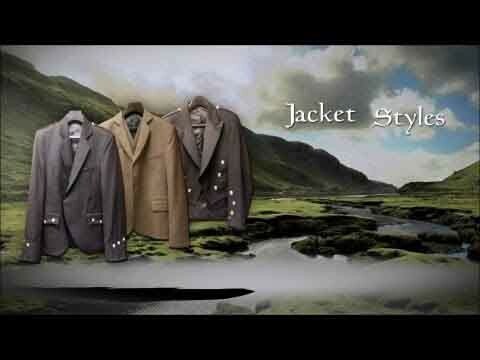 Great versatility and great quality! John F.